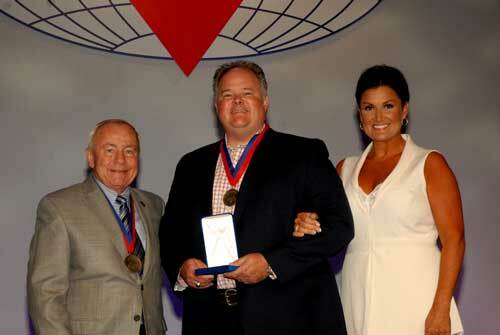 Matthew D. Cramer, president of Dee Cramer Inc. of Holly, Mich., was inducted into the Sheet Metal and Air Conditioning Contractors’ National Association’s (SMACNA) College of Fellows during the association’s 73rd Annual Convention in Phoenix on Oct. 19. An exceptional leader at the national and local levels, Cramer served on the SMACNA National Board of Directors from 2010 to 2014. For his unselfish devotion to the industry, including his leadership in educating the membership in building information modeling (BIM), he was named SMACNA’s Contractor of the Year in 2011. Cramer served as chair of both the Products and Programs Coordinating Committee and the Business and Financial Management Committee, and on the Director Nominating Committee. He was selected to chair numerous task forces, including Business Management, Business and Financial Management, and the Business Management University and Graduate Programs II task force. He served as assistant director of both the Computer Software and Computer and Financial Survey Task Forces, and was on the Financial Management Task Force and Business Management Graduate Program Committee. Cramer is SMACNA’s representative to the BuildingSMART Alliance and serves on their Board of Directors. He is a Patron contributor to the New Horizons Foundation. Locally, he served on the Board of SMACNA Metropolitan Detroit and on the Labor Negotiating Committee and Governmental Affairs Committee. With the Flint Area Association of Sheet Metal Contractors, he served as a trustee of the Sheet Metal Workers’ Local 7 Health and Welfare Fund and on the Pension Fund as well as served on the Labor Negotiating Committee. Serving his community, he is currently a Board member of Habitat for Humanity of Genesee County. He has served on the Board of Big Brothers Big Sisters of Genesee County, was a United Way Campaign Cabinet member, and on the Genesee Regional Chamber of Commerce. In 2009, he earned the Joe Ryder Leadership Award from Big Brothers Big Sisters of Genesee County for his philanthropic efforts. Cramer, along with his brother Rich, are the third-generation to run his family’s sheet metal business, with offices in Saginaw, Lansing, Wixom, and Holly, Mich. He started as a shop helper, rising to serve as its controller, CFO, vice president of sales/estimating, and president. He received his bachelor’s degree in accounting from the University of Notre Dame. Membership in the College is reserved for top industry professionals who have made significant contributions to advance the sheet metal industry, capping years of committed service and dedication. SMACNA, an international trade association representing 3,500 contributing contractor firms, is a leader in promoting quality and excellence in the sheet metal and air conditioning industry. SMACNA has national offices in Chantilly, Va., outside of Washington, D.C., and on Capitol Hill. 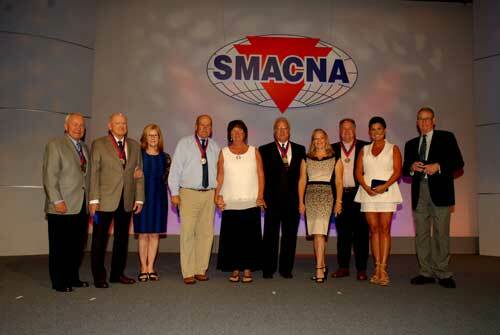 Visit www.smacna.org. .  Matthew D. Cramer, president of Dee Cramer Inc. of Holly, Mich., was inducted into the Sheet Metal and Air Conditioning Contractors National Associations (SMACNA) College of Fellows during the associations 73rd Annual Convention in Phoenix on Oct. 19.